The Wyland Foundation and Celebration of the Sea Foundation announced they have joined into a new partnership during a press conference held at Miami’s iconic Marine Stadium on Sunday, October 16 at 2:00 p.m. The event was held during Miami’s annual signature event, the Coconut Grove Seafood Festival which attracts more than 15,000 people annually. This year the festival featured a new “Eco-Discovery Zone” which was created and produced by the Celebration of the Sea Foundation to engage and educate children and families about pressing environmental issues in South Florida. 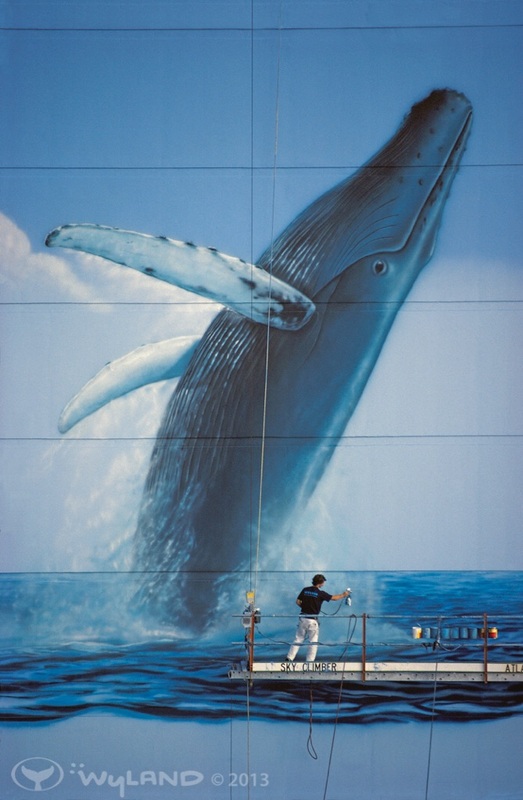 The press conference, hosted by internationally renowned marine artist and founder of the Wyland Foundation, Wyland along with Celebration of the Sea Founder & CEO, Patxi Pastor, included local civic leaders and community officials. The announcement was made prior to the start of ceremonies for the presentations of the Celebration of the Sea Awards that afternoon. The Celebration of the Sea awards recognize excellence and achievements in environmental education, advocacy and stewardship as well as initiatives that foster career paths for STREAM (Science, Technology, Recreation, Engineering, Arts and Math) along with outstanding contributions to eco-tourism, the diving industry and promoting sea level rise awareness among the public. The press conference which was sponsored by Primecard, Coca-Cola, SCUBAPRO™ and Ocean Safari Diving Adventures concluded with a live underwater video and audio feed from the DEMA (Diving Equipment Manufacturers Association) spectacular 15,500 gallon “Go Dive Now Pool” sponsored by The Cayman Islands. 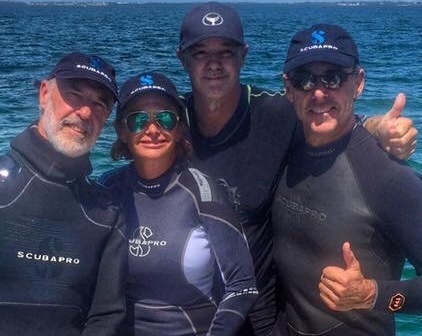 The press conference featured Wyland painting on SCUBA with Celebration of the Sea Foundation Founder and CEO, Patxi Pastor and Executive Director, Annette Robertson along with Miami-Dade School’s MAST@FIU Principal, Dr. Matthew Welker and MAST@FIU senior, Andres Martinez. 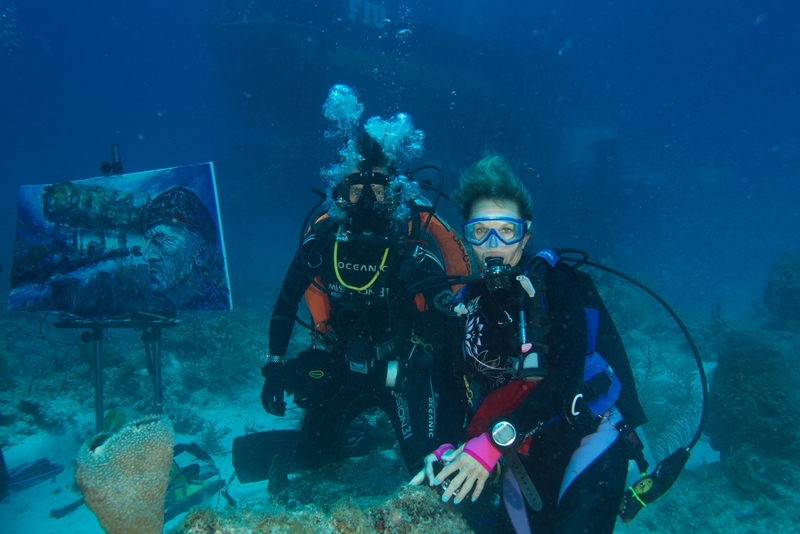 The group painted rain barrels underwater that were donated by Coca-Cola™ to the Celebration of the Sea’s Eco-Link™ Program that promotes the arts in schools along with environmental and marine science education. The rain barrels are part of part of Eco-Link’s fresh water conservation programs being implemented in South Florida schools. 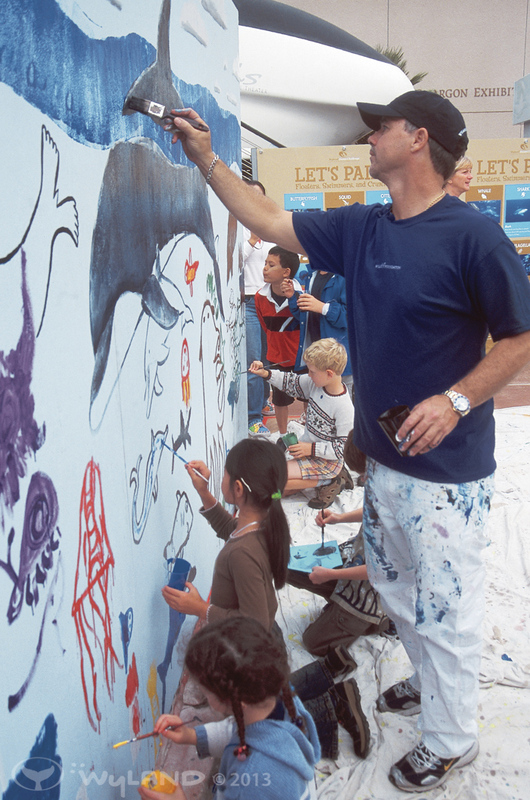 “Wyland truly represents the ideal role model in environmental stewardship and education for children and families around the world,” says Patxi Pastor. Among numerous other recent large-scale public events, Pastor recently served as executive producer and co-creator of “A Time to Start Thinking Differently – The Economic Impact of Sea Level Rise on South Florida,” a series he co-hosted and produced for the Miami Beach Chamber of Commerce and more than 100 leading South Florida business leaders. 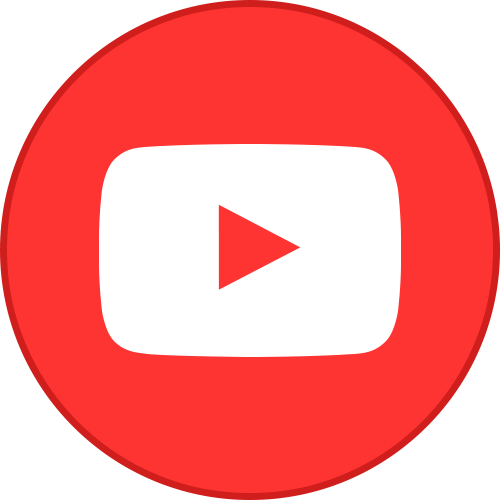 “With the arts continually being cut so dramatically from budgets and in many cases removed altogether in school systems around the country, this has become a critical issue to support. The arts represents so much more to society than simply a means of illustrating science. 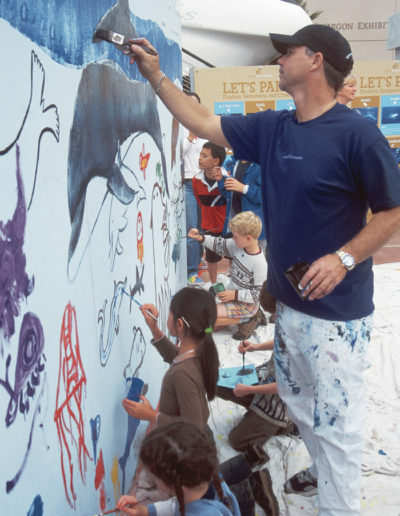 Through the example of Wyland’s passion and artistic gifts, the public and especially children are directly touched and inspired: They are excited to begin focusing on all the science, critical thinking and problem solving that is urgently needed to develop successful future strategies in our communities for our pressing environmental challenges,” says Pastor. The Celebration of the Sea Foundation is a Florida-based 501(c)(3), not-for-profit organization, dedicated to producing engaging, entertaining and educational programs for children and families with a specific focus on the world’s oceans and marine habitats. 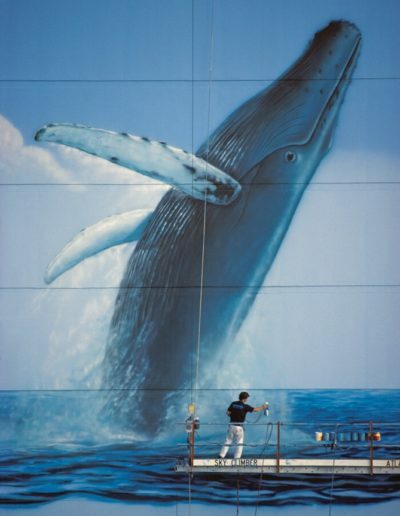 The Foundation’s primary activities are centered on STREAM (Science, Technology, Resiliency, Engineering, Arts and Math) and designed to raise public awareness, particularly among children, of both aquatic and terrestrial ecosystems while simultaneously helping to instill a sense of stewardship towards the animals that inhabit them. The Foundation’s programs focus on ways in which each of us can make a positive impact on the environment while placing specific emphasis on the world’s ecological systems. 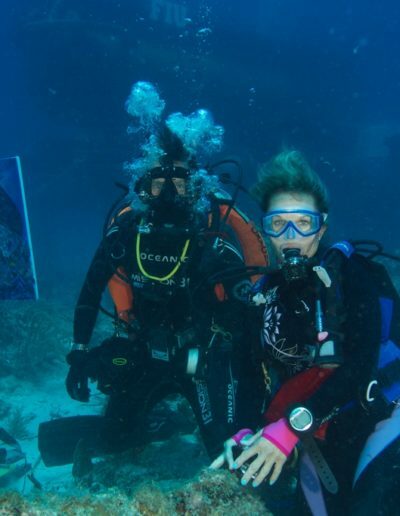 The Celebration of the Sea Foundation’s Eco-Discovery Zone™ promotes new career opportunities and student pathways for ecotourism, SCUBA diving, and STREAM (Science, Technology, Resiliency, Engineering, Arts and Math) which are critical to South Florida’s economy. 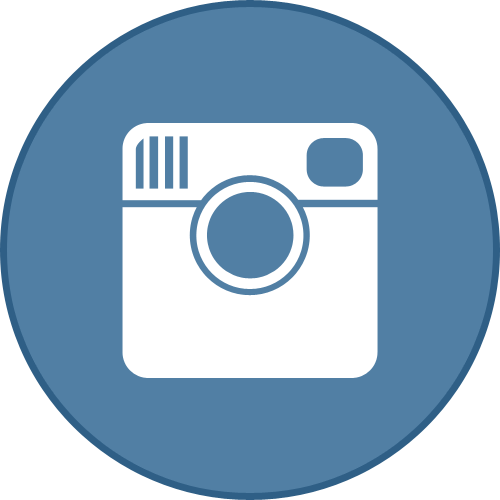 The attraction features a wide variety of exciting and innovative environmental and educational hands-on activities, such as exhibits, games, touch tanks, stage performances, video displays, and inflatables. 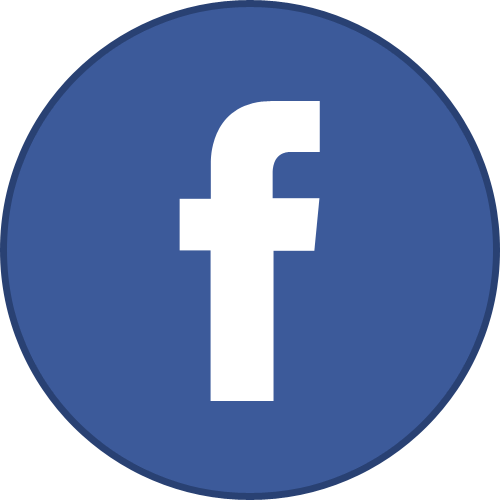 The activities are co-hosted with leading educational, scientific, and civic organizations. Featured exhibitors include Wyland Foundation, Florida Atlantic University, Florida International University, MAST@FIU, University of Miami, the Medina Aquarius Program Underwater Habitat, DEMA (Diving Equipment Manufacturers Association), History of Diving Museum, Southeast Florida Coral Reef Initiative, Captain Slate’s SCUBA Adventure Dive Center, Stuart Cove Dive, Tarpoon Lagoon Dive Center, Grove SCUBA, Marine Cleanup Initiative, One Florida, Big Hearts Happy Planet, Aquamarina Pre-Schools, Treasure Coast Lion-Fish Safari, Paddle the Florida Keys, Street Waves and Coral Reef Restoration Foundation. © 2017 Celebration of the Sea Foundation, Inc. All Rights Reserved.